Bravo for Adventure is being collected in book form. Bravo for Adventure returns to print in July. "... In addition to the complete published stories, also included are never-before-seen pencil roughs, preliminary drawings, and story fragments, as well as Toth’s own coloring samples for an edition that never saw print, and—freed from storage after 40 years—some of the coloring for what was intended to be Bravo’s original 1975 first printing in France." More details can be found here on IDWs website. Alex Toth Genius book volumes slipcases in stock. For those that have not seen it, Dean Mullaney from Library of American Comics announced via Twitter and Facebook, "Toth slipcases in stock! Advance order have been shipped!". IDW proudly presents this Limited Edition Signed & Numbered Slipcase and Library Card set for the Life & Art of Alex Toth Genius Trilogy: Genius Isolated, Genius Illustrated & Genius Animated. The slipcase artwork features Toth sketches on both sides and the special library card, signed and numbered by the authors, features a previously unpublished pencil sketch of the Fox. In honor of Alex Toth's Birthday, we announce "Creator's Day"
On this day 86 years ago Alexander Toth was born. In the profession he chose to make a career in, his art, his life's work, was initially thought of as a throw-away - mere guides for animators or entertainment for people in a monthly comic book. Something to be consumed for a short period of time before something else new was brought out into market to replace it. But there is something about a creator like Alex Toth and the multitudes of others who brought something different and unique beyond the work-a-day output. Something extra special and enduring. No one can bottle or nail down exactly what it is that Toth and creators like Jack Kirby, Dan Decarlo, Doug Wildey, Iwao Takamoto, John Romita, and so on, did specifically. What is known is that they brought their own vision and creativity beyond the disposable work-a-day experience. Something beyond just cashing a paycheck and moving on. For fans, Alex Toth's lifetime of art created a legacy of awe, entertainment, and inspiration that continues to this day. A once throw-way art has become a permanent record for countless multitudes to enjoy and be inspired. Other creators continue this and follow in each other's footsteps to bring inspiration and entertainment in new ways. So in honor of Alex Toth's Birthday we at Tothfans would like to make a suggestion – We declare June 25th “Creators day” in Alex Toth's honor. What is the idea behind “Creators Day”? 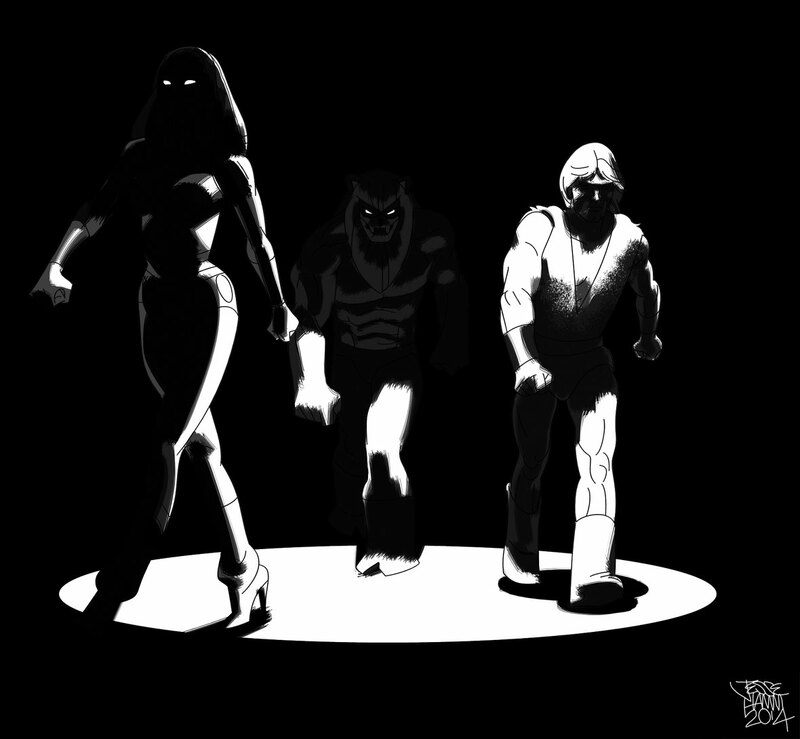 The thought is to take this day every year to bring new awareness, discussion, celebration and recognition of creative visionaries like Alex Toth and others. Artists and writers, both past and present, who work behind-the-scenes (and/or in front) in bringing joy and excellence to the creative/entertainment arts in animation, illustration, literature, movies, and comics. 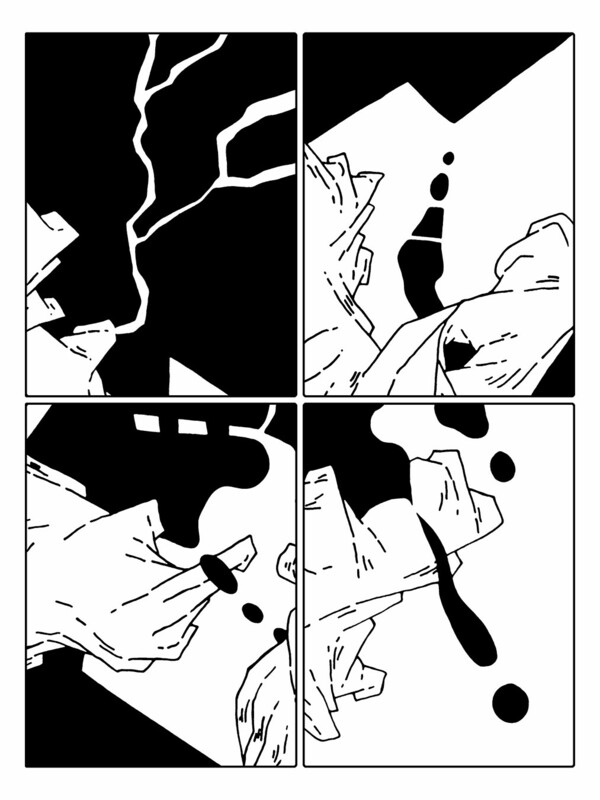 And to kick-off 'Creators Day' on Alex Toth's Birthday we have Eric Toth's special post. 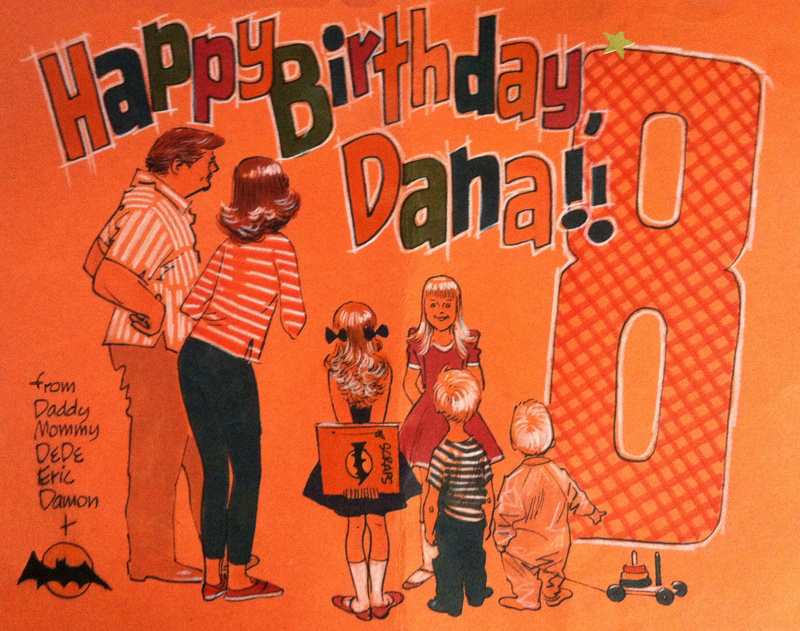 Eric said this about the drawing, "This is a birthday card for my sister Dana circa 1972. My Dad made many personal cards, notes and letters to us and our Mom over all those years." So post something (Twitter, Tumblr, Instagram or Facebook) and let us know who inspires you. Add #creatorsday to your posts to share. Thank you and happy Creator's Day!